Sew what's cooking with Joan! 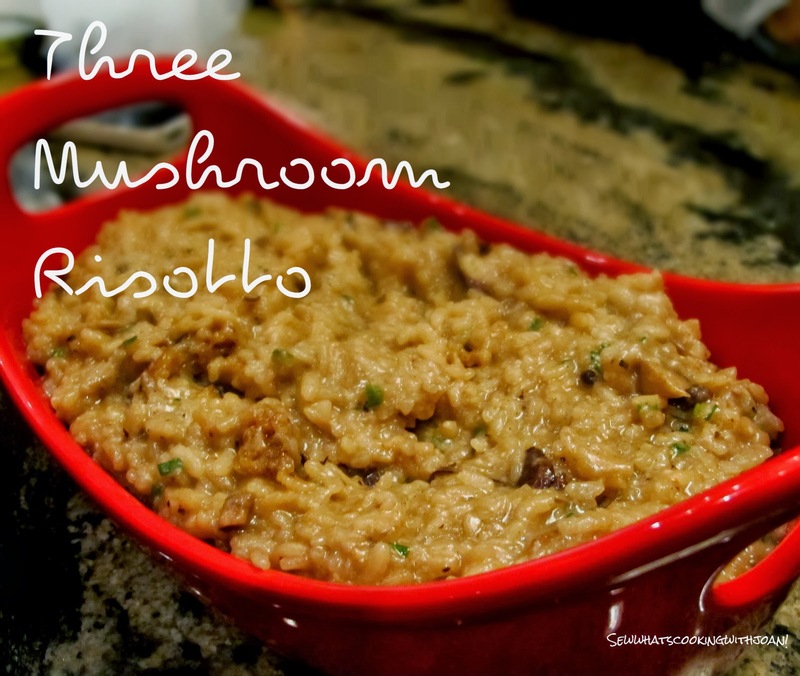 : Three mushroom risotto....KILLER! I really haven't had a problem thinking what to offer on the blog!! There is so much in my head, recipes, quilts, crafts. Add to that, the many requests! As promised, here is a risotto we love, inspired by my daughter. Holly works full time and takes the time to create tasty, health conscience meals, with her husband Nate Dogg! We love creating in the kitchen or at the barbeque together, we laugh and joke and have so much fun creating and learning from each other. Warning: This is great for the arm!! So, if you have a little jiggle in that arm, make this! The Red wine is for the cook!! Heat 2 T olive oil in a large saucepan over medium-high heat. Stir in the mushrooms and cook until soft, about 5-7 minutes. Remove the mushrooms and their liquid and set aside. Add 1 T olive oil to the skillet, and stir in the shallots. Cook for about a minute and add the rice. Stir to coat with oil, about 2 minutes. When the rice has taken on a pale golden color, pour in the wine, stirring constantly until the wine is absorbed. Continue adding the broth 1/2 cup at a time, stirring continuously. Then stir some more, until your arm falls off, all the liquid is absorbed and the rice is al dente, about 15-20 minutes. Remove from heat, and stir in the mushrooms with their liquid, optional butter, chives and parmesan. Season to taste with salt and freshly ground pepper. Serve the wine and drink with other arm!! 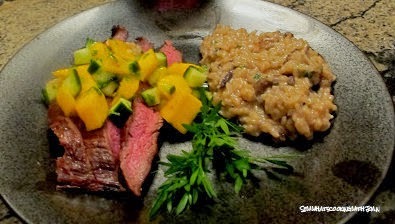 I served with the Marinated Flank steak with mango salsa, posted on Monday, May 14th blog!! Yum!! Thanks Amy! I actually am going to start putting the entire recipe all together at the bottom, as, I have a lot of people copy and pasting, then printing. It is more work, when the tutorial is so spread out. 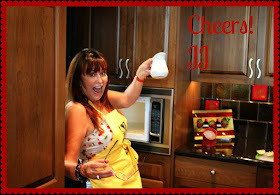 Equally, I have viewers who love the tutorials, and just note the header, so they can log on and create the recipe! I can hardly wait together everyone involved in making a few dishes for the blog. My viewers love Wee Bear, so I will get TT and Ross involved, too! Thank you Sweet One for all your support, it really is amazing how this has taken off!